Major designer Dolce and Gabbana is selling fur products made from the skin of tortured animals, according to animal rights activists. French animal rights group L214 has release photos from inside a farm that reportedly supplies the designer with 'Orylag' rabbit fur. Orylag rabbits are a breed designed specially by humans for their soft dense fur. Photos from the farm show rows of filthy cages packed with hundreds of rabbits. The rabbits only have wire flooring to stand on, and do not have access to fresh air or daylight. Speaking about L214's investigation, animal rights charity PETA said: "The rabbits know only darkness and pain inside their tiny, decrepit prisons, where they were left for months to suffer from sores, dehydration, malnutrition, and other injuries and ailments. "One in four rabbits observed died before they were scheduled to be killed. 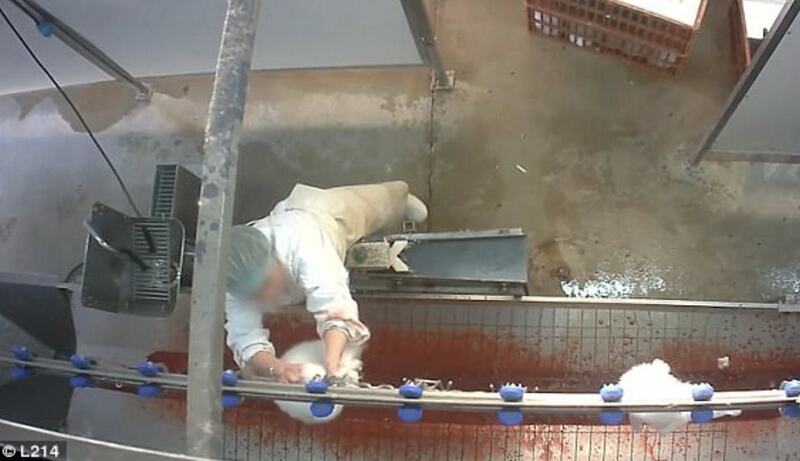 Those who survived were sent to a slaughterhouse and hung by their paws, and then workers slit their throats and drained the blood from their struggling bodies as they moved down the conveyor line."